Fueling with FLUID Performance on a tempo run at sub marathon pace. Do you ever sit and watch the Boston Marathon and never see the winners eat or drink anything? Or ever watch Killian hammer through a hundred miler eating maybe a quarter as much as the guy next to him and it’s in liquid form? There are actual chemical and physical differences between each person. Seems logical, right? Then why have so many people not mastered the art of fueling? They get to mile 30 or 50 gassed, or pass out half way through, or even worse, go to the hospital for fluids! As a dietitian working with athletes everyday and an ultra runner myself, I sat back and thought about the 3 key pieces that majority of athletes are missing on race day. Let’s assume you are an athlete with a sound nutrition base (that’s always number one before dialing in your race day fueling)…these 3 things can help you start to master your fueling. Promise! Step 1: Stop assuming your fueling plan is written on the back of a gel packet. Take every 45 minutes…said no actual person ever! So that’s a general, very broad recommendation for the world. Sure, maybe it works for some, but 99% of the time TIMING is everything and energy stores are long gone before 45 minutes is up. Most males on average need to refuel every 20 minutes and females closer to 30 minutes. Fueling early in any distance saves you in the last 1/2 and I promise you, no one likes hearing their race was a fail because they didn’t fuel right at mile 3! Step 2: Stop thinking if you fuel like the pros you will be a pro. Your training is specific to you just so much as your fueling. A fact not so known by athletes – there are muscular and cellular runners. Some of us need, even if we don’t want to admit it!, fuel and quite often. We are muscular athletes. That doesn’t mean we look different. It just means energy is consumed more in our muscles and faster. The cellular athletes don’t burn through energy as fast so they don’t need to fuel as often. Guess what…there aren’t many cellular athletes out there! Odds are, you need fuel!! A sports dietitian will know pretty quick where you fall. Step 3: Stop believing diet claims. How can you fuel your body appropriately if you restrict a food group? You can’t. If you want to run well, you need carbohydrate as your main fuel source. So, there is a current movement called metabolic utilization aka eat fat as fuel. I only know a handful of athletes that have been successful with a high fat fueling program, and all males, which makes sense. Ladies: Enjoy your pasta, you are made to eat carbohydrates. Guys, you too, but you get a little more leeway with it. I’m going to outline in a different blog why the body can steamroll on carbohydrate, but for now, eat them. And a lot. For those doing endurance sports, as a general recommendation, you need minimum 200 grams per day, and that’s bare minimum (most athletes are 300+). Other diet claims athletes face…I can’t eat sugar, I eat low fat, I can only eat nuts and fruit, and I don’t fuel so I can lose weight. Stop all of these. They are false and will lead to a worse performance. I promise you, athletes perform best when they eat from all food groups, have fun foods everyday, and get in enough energy while performing. Never burn more energy than you consume per hour! It’s only downhill from there. So there are a million other things that go into play with fueling BUT if you can start by changing these 3 things about your fueling routine, it will improve immensely. Just keep dialing it in one training week at a time. 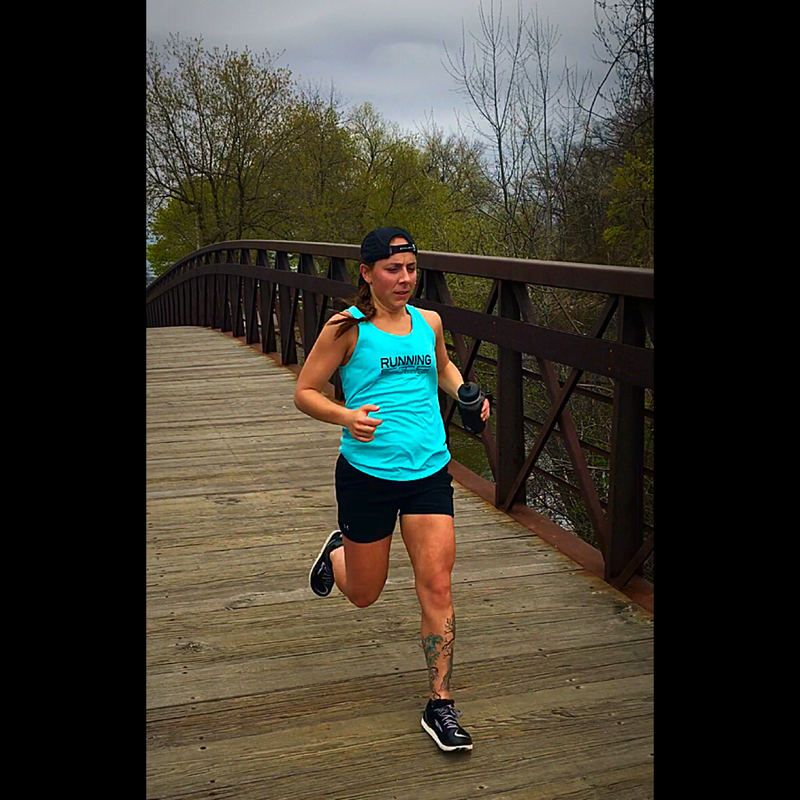 Pingback: Start to Master Race Day Fueling in 3 Steps thanks to Swiftwick Athlete Ani Weiss | The Best Socks You'll Ever Wear-Guaranteed.